The core of the ideology of Turkmenistan's foreign policy is the all-round assistance of non-military, political and diplomatic means to the creation of a solid and long-term system of universal security. The concept of the indivisibility of the concept of security developed by the President of Turkmenistan, which in itself is a serious contribution to modern political science, is today the theoretical basis for implementing Turkmenistan's foreign policy strategy. Hence the readiness of our country to place its resource, status (neutrality), geopolitical advantages in the service of the international community in its work to achieve the global goals of peace, stability and sustainable development. This is not just a position, it is a worldview based on a positivist perception of reality, views on international relations as an ongoing process aimed at finding constructive solutions. Speaking at the 64th session of the UN General Assembly in New York in 2009 on the conditions for achieving and ensuring global security, the President of Turkmenistan highlighted the problem of disarmament. And this is not accidental, since the all-round assistance to global processes of disarmament and non-proliferation has been and remains a priority direction of Turkmenistan's foreign policy. Turkmenistan's commitment to its international obligations is also enshrined in national legislation, primarily at the constitutional level and other acts. Turkmenistan declared a refusal to own, produce, store, transport nuclear, chemical, bacteriological and other types of weapons of mass destruction, new types and technologies for their production. The possession in various regions of the globe of huge arsenals of weapons, primarily nuclear weapons - is not a deterrent, but a provocative factor, generating distrust, fear, aggression. Turkmenistan, as a neutral state, categorically rejecting military force as an argument for international policy, calls on the world community to take this issue with all responsibility. "We are convinced," President Gurbanguly Berdimuhamedov said from the high rostrum of the UN: "The less there is in the world of weapons, the more stable and peaceful its development, the more will there be trust and understanding between countries and peoples." A deep commitment to such an approach, a belief in the inexhaustible potential of peacemaking, the conviction of the doomed attempts to use military force in solving interstate, internal social, inter-confessional, interethnic contradictions is another important component of the ideology of Turkmenistan's foreign policy. Calling for the reduction of weapons arsenals to the limits of reasonable sufficiency, the President of Turkmenistan bases himself on a deep analysis of contemporary conflict situations in the world and regional contexts, their history and evolution, which show that after the Second World War, no conflict on the globe, even on the condition that one of the parties was a winner, did not lead to its complete and final decision. Such a non-confrontational approach, based on the good will, authority and responsibility of the world community in the person of the United Nations, lies at the core of Turkmenistan's worldview with respect to solving not only the Afghan problem, but also other serious and urgent issues of the development of Central Asia and the Caspian basin. 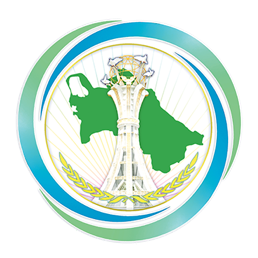 In this regard, the permanent neutrality of Turkmenistan and the peculiarities of its legal status open up good practical opportunities for the Community of Nations to positively influence the course and nature of the processes at the regional level, the establishment of permanent mechanisms for international communication, and the development of mutually acceptable and consensus solutions. Forming its approaches to the problem of ensuring universal security, Turkmenistan proceeds from the premise that today the security of one country cannot be secured in the absence of security in the region, on the continent, in the world. Back in 1994 Turkmenistan acceded to the Treaty on the Non-Proliferation of Nuclear Weapons (NPT), and since 1998 is a party to the Comprehensive Nuclear-Test-Ban Treaty Organization (CTBTO), as well as to a number of international legal instruments such as the Convention on the Prohibition of the Development, Production, stockpiling and use of chemical weapons and their destruction; The UN Convention on the Prohibition of the Development, Production and Stockpiling of Bacteriological (Biological) Weapons and Toxin Weapons and Their Destruction; Convention on the Prohibition of the Use, Stockpiling, Production and Transfer of Anti-Personnel Mines and on Their Destruction and other major international instruments on disarmament issues. A major step in the consolidation of regional efforts in the field of non-proliferation and disarmament was the signing of the Nuclear-Weapon-Free Zone Treaty in Central Asia on September 8, 2006 by Turkmenistan, Kazakhstan, Kyrgyzstan, Tajikistan and Uzbekistan in Semipalatinsk. This is in many respects a unique document that has become an international legal basis for the emergence on the Asian continent of a vast region free of nuclear weapons. By becoming parties to this Treaty, the Central Asian states have undertaken obligations to prohibit the production, acquisition and deployment of nuclear weapons and their components or other nuclear explosive devices on their territory. By this, the Treaty participants confirmed the joint contribution to global and regional security, the processes of nuclear disarmament and non-proliferation, which is especially relevant in the context of universal action in the fight against terrorism and prevention of falling into the hands of terrorist structures of weapons of mass destruction. In its activities during the 72nd session of the UN General Assembly, Turkmenistan will be guided by strict adherence to the principles of neutrality, non-interference, firm adherence to peaceful, political means of resolving conflicts and contradictions. With the adoption by the UN General Assembly of the resolution "International Day of Neutrality and Peace", it was once again convincingly confirmed that neutrality is a significant factor in strengthening universal peace, security and sustainable development. The position of Turkmenistan in the issues of disarmament and non-proliferation of weapons of mass destruction, developed and defended under the leadership of the President of the country, is well-defined and extremely clear. Turkmenistan welcomes the constructive proposals of the international community, individual states, aimed at promoting global disarmament processes, and, based on the priorities of the state and the region, are interested in considering its participation in their implementation.